Even if you don’t have a significant other, there are plenty of love scrapbooking ideas that you can incorporate into your layouts. You can document the love you feel for your family, your friends, or your pets. Another great idea is to create a layout that describes why you are passionate about your hobbies or special interests. Alternatvely you can just go to your Scrapbooking Layouts Page and choose the most relevant scrapbooking theme for your Scrapbook. Love ideas...But if we can somehow manage to steal an hour here, thirty minutes there to chronicle our feelings we all experience but don’t often share. 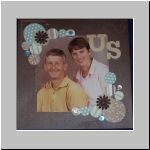 With these love scrapbooking ideas you can recapture those lovely moments, and give substance to your feelings. 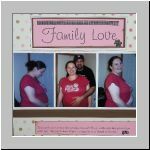 Love scrapbook ideas - Express your love by using these love scrapbooking ideas to create a loving and unique love scrapbook for your love. 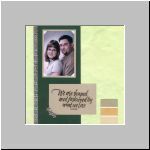 Return from love scrapbook layouts gallery page to Scrapbooking Ideas Layouts Gallery.